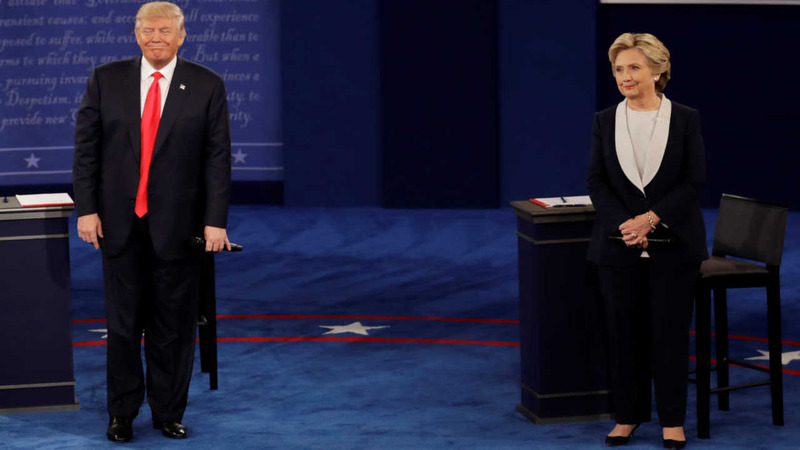 ST LOUIS, Missouri -- Donald Trump mischaracterized the record on Hillary Clinton's defense of her husband and her own treatment of women when he brought up Bill Clinton's sexual history and other episodes of the past. Clinton didn't give a square account of the fallout from her email practices. THE FACTS: Maybe, maybe not. While there's indeed no direct, explicit evidence that classified information was leaked or that her server was breached, it was nevertheless connected to the internet in ways that made it more vulnerable to hackers - and the public may never know who saw them. FBI Director James Comey has said: "We assess it is possible that hostile actors gained access to Secretary Clinton's personal e-mail account."